Buy online APC220 long range RF module in India at low cost from DNA Technology, Nashik. This kit consists of 2 APC220 RF Modules and 1 USB Adapter. 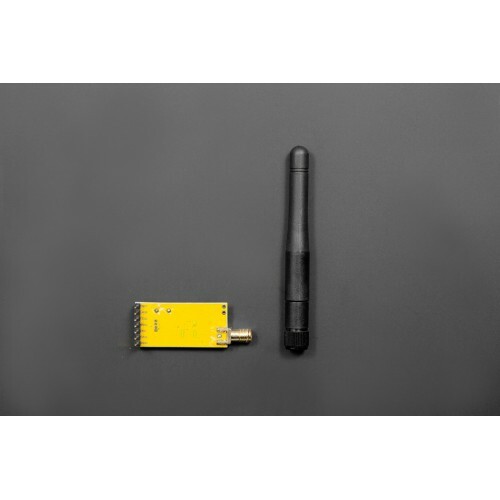 Using APC-220 RF Module provides a very simple solution for wireless communication. It provides transparent serial communication, no need of sending any special data packets or doing any settings just plugin this module and it is ready to go. APC220Integrates an embedded high speed microprocessor and high performance IC that creates a transparent UART/TTL interface, and eliminates any need for picketing and data encoding. If you are looking for a low-cost solution with better range performance (upto 1Km), this has being our customer choice for a long time now. With this module, you can build wireless projects in an easy way. RN2483 ModuleMicrochips RN2483 is a fully-certified 433/868 MHz module based on wireless LoRa® techn..